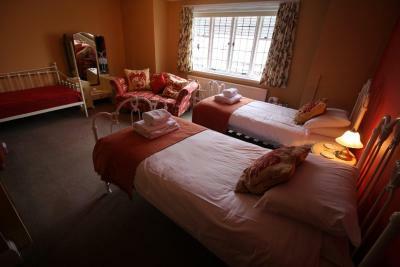 Lock in a great price for The Old Bear Inn – rated 8.4 by recent guests! We were received and dealt with by a very welcoming host. We enjoyed our breakfast. Landlord friendly and welcoming. Room was spotlessly clean and the bed comfortable. Perfect location for walking the Thames Path. Really nice rooms for the rate. Friendly helpful staff. Couldn’t have asked for more. Thank you. Rooms very tired and dated, staff very reluctant to do breakfast and actually suggested we go elsewhere for breakfast. Friendly very clean lots of coffee in room. Great shower with good water pressure and heat. Nice big soft towels. Very good beer in pub. Everything was clean and well presented. Staff were great and easy going. Stunning town, especially the inner area with listed buildings and a great church with a cross at the very top which lights up at night. Only went to the bar I was staying at and it was nice enough to stick with. Very warm with a huge shower, one of the best I've been in! The room was at the back of the pub next to the carpark and I was aware that this may be noisy you to my surprise it was not noisy, just the odd bit of movement. 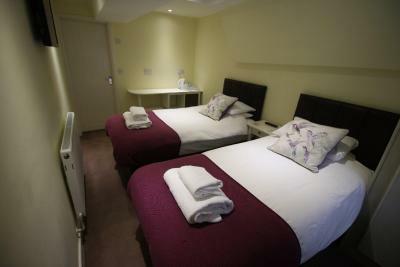 the room was very nicely renovated and was clean and tidy. Quiet room at rear for a good quiet nights sleep. Very clean and comfortable. Friendly staff. It was an ideal location, reasonably priced, breakfast was good. No complaints at all. The Old Bear Inn This rating is a reflection of how the property compares to the industry standard when it comes to price, facilities and services available. It's based on a self-evaluation by the property. Use this rating to help choose your stay! 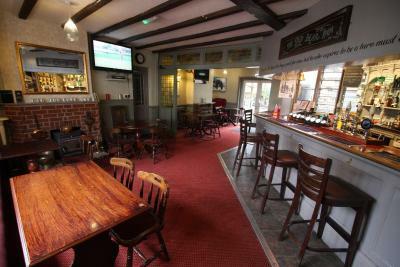 Located in Cricklade, The Old Bear Inn has free WiFi. Every room has a flat-screen TV with satellite channels. At the inn, the rooms are equipped with a closet. Cheltenham is 23 miles from The Old Bear Inn. Gloucestershire Airport is 26 miles away. 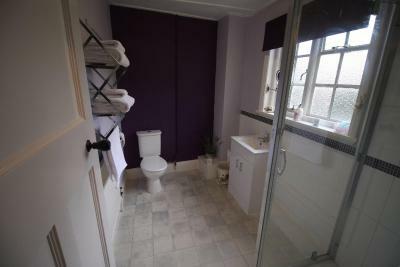 This property is also rated for the best value in Cricklade! Guests are getting more for their money when compared to other properties in this city. 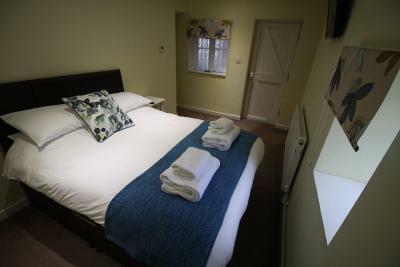 When would you like to stay at The Old Bear Inn? 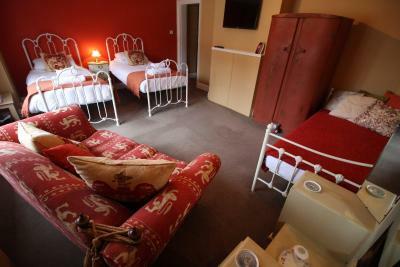 This triple room has a flat-screen TV, sofa and tea/coffee maker. 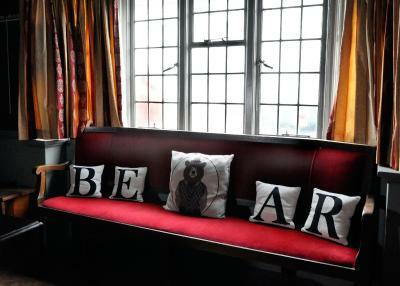 House Rules The Old Bear Inn takes special requests – add in the next step! 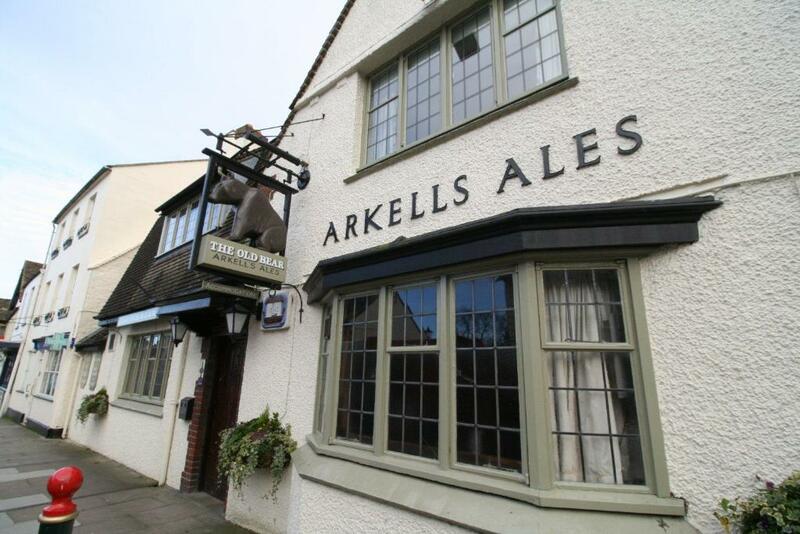 The Old Bear Inn accepts these cards and reserves the right to temporarily hold an amount prior to arrival. At closing time noisy drunk people congregate towards car park where rooms are. Although in a pub, no food. No fridge or any type of kitchen appliances. I expected there would be. 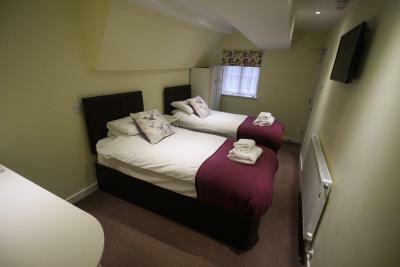 You WILL love the Pub/B&B and its ideal for a short stay. Just remember to take food! Was shown to my room by a very rude lady, presumably the landlady, no welcoming words, opened the door, turned the heating on and thrust the keys in my hand.No internet or phone signal, despite what it says or their website! Room small, could only just past the bed! Wooden stool to sit on! Shower door about 18inches wide, many people would not be able to get in the shower......very, very poor.